what in the world just happened to me? Wow, just wow. 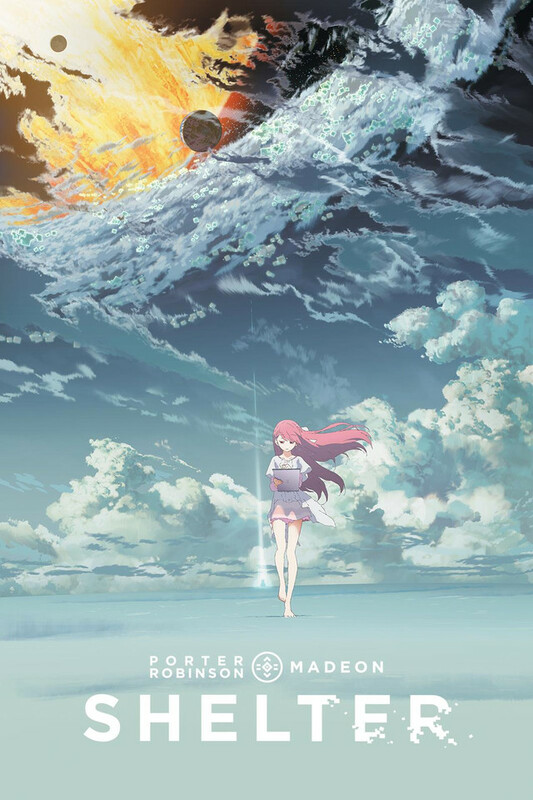 This is why I love anime, its not afraid to express itself in whatever way it deems fit (though it was written by porter robinson - electronic music producer) I dont think any other animation medium could have expressed his vision so beautifully and fully. It took them all of 6 minutes to pull me onto an emotional roller coaster and i salute all those involved for doing so, maybe it's because it took me back to when i was 10 years old watching Interstella 5555, what a trip man! I have been waiting for this forever. Literally my craving started when he announced WORLDS. I read that he was taking his music in a different direction, being a fan I was interested. When he released worlds I pre-ordered it and got the collectors edition vinyl and everything. When I listened to it it got me really going. Worlds told this story that I fell in love with. I was so captivated by the music I attempted to create many thing out of it, such as a video game, graphic novel, and universe. Finally the last straw that got me head over heels was his show. When I saw the production I absolutely fell in love with the art design and the music live made me a believer. Ever since then I have been doodling little bits and pieces of this universe, creating back stories for characters in each different song. Now that he is collaborating with Madeon I couldn't control the hype I had. The fact this exists literally proves my existence these couple years I have been obsessed with the music. TL:DR I am so happy, and I hope they make more. I hope they create more music and videos to go along with them and Worlds as well. The best Animation I have seen in awhile. Yeah, so, six minutes later and I'm sold on Shelter. This was probably the coolest music video that I've seen recently and its a short list of things that I wouldn't do to have a six episode season based on this short. It's beautiful, scary in a surreal way and totally worth your time. I am a big fan of music videos like this that tell a story, and this one is powerful for just being 6 minutes long. I feel like it just got started when it ended, and I could watch it over and over again. Absolute roller coaster, and brings tears to my eyes watching it every time, but so worth it. I will be honest I hadn't heard of Porter Robinson before this, but I am a fan now. Big thanks to Crunchyroll for producing this one!!! This was a wonderful Animation! I have to say this was amazing! The music and animation were really beautiful. Six minutes isn't long but long enough to be able to tell such a warm yet kinda sad story. I recommend HIGHLY that you watch this! If you like short, good quality animations then this is for you.